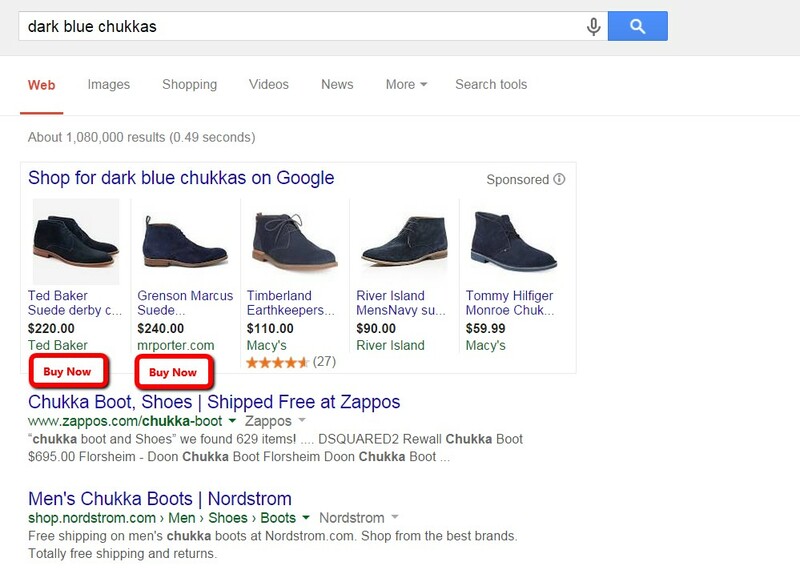 Google has always been coy about its long-rumored move into eCommerce and retail. The corporation’s head of search ads dismissed questions at SMX Advanced 2015 – when the first iterations of the “Buy Now” button appeared in search results. According to Jerry Dischler, the button was nothing more than a conversion optimization test. His hand-waving routine might have put an end to the questions, but many industry insiders speculated that it was the first of several steps that Google would take to compete with Amazon and other online retailers. Clearly, this avenue made sense for a search giant that enjoys 75 percent market share in online search. For a time, the buzz around the button quietened down. 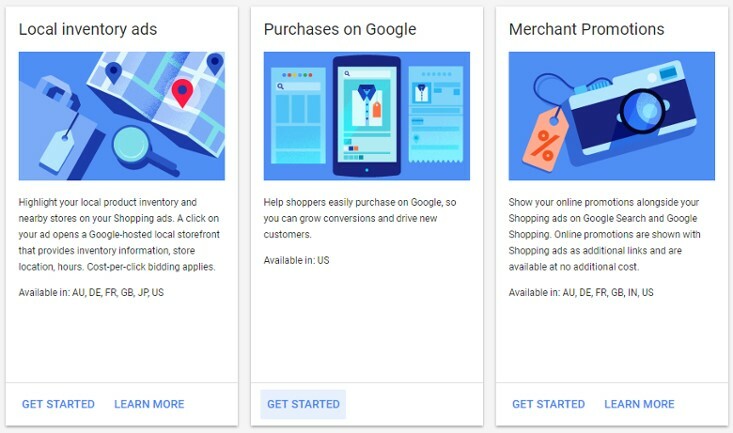 Then, in 2017, a new section in the Google Merchant Center raised advertisers’ eyebrows — the beta program for Purchases on Google. We predicted that Purchases on Google would see large-scale rollouts in 2017. It appears we were right. As it turned out, Google quietly rolled out the beta program for select retailers via mobile search. They made no announcement, trying to limit any associated noise. “Purchases On Google” (PoG) barely appeared in search results. Google limited the program to mobile users, further masking visibility. However, PoG’s inclusion in the Merchant Center has renewed buzz around the topic…proving that Google has not given up on a program they announced three years ago. Clearly, Google is still testing implementations for the program. We’ve seen the consumer-facing search button/product tag go through several iterations in the search results. 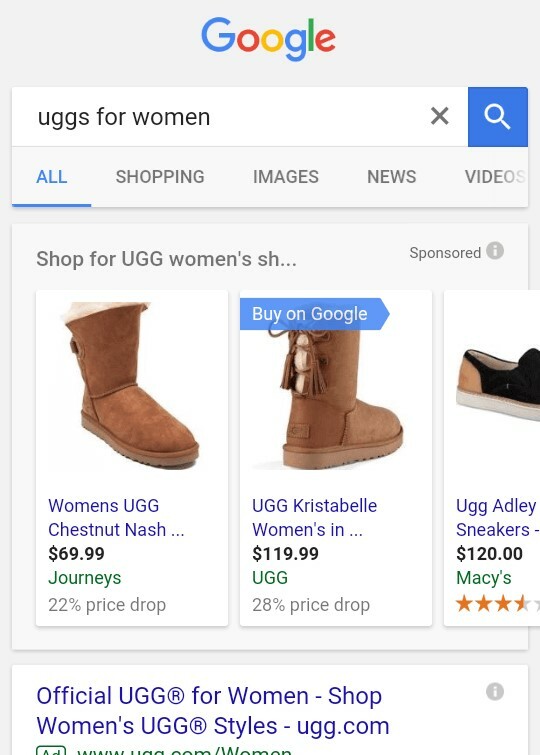 Initially, a “Buy on Google” button appeared atop the product image, but we’ve seen variations, such as “Easy Checkout” option at both the top and bottom of the product image. Google’s leap into eCommerce – and desire to let consumers buy products directly through search results – scares many in the eCommerce industry. It’s natural to be worried. A competitor as large as Google would upend the market and lead to unpredictable outcomes. But retailers and eCommerce companies shouldn’t panic. Instead, try to understand the landscape and prepare for what may come. It’s been over three years since outlets got wind of the PoG program. Since that time, the company has released very little information. It had been so quiet in fact, some speculated that the search giant planned on ending the program, or at least placing it on the backburner. However, the rollout of its beta program (along with different tests that have been observed in search results) has shown it to be alive and well. eCommerce companies that have held tightly to theories that the program had been scrapped should accept its impending arrival…and do their best to prepare for it. If history is any indication, there’ll be quite some time before it is wide-spread. Even then, there is no indication that Google plans a large-scale launch. When it does go live officially, the program will likely be limited to certain retailers, products, or categories. When PoG does arrive, most eCommerce shops should embrace – rather than shunt – these circumstances. Naturally, eCommerce companies and retailers would prefer to be in charge of the checkout process. Nonetheless, several retailers will presumably join the program to get ahead of the pack. While it isn’t clear if the current restrictions on its beta program will extend to a live version, it does lead some to think that the program will be at least somewhat exclusive. And the biggest reason for this? Eligibility restrictions hamper acceptance to the beta program. Companies must meet a host of technical requirements. These include a need to build out order management API calls to Google…and strong traffic numbers through the Google Shopping platform. Additionally, it appears that Google is still getting a feel for how PoG will cater to customer service issues. Currently, the company assigns responsibility on a case-by-case basis. Some retailers have reported that Google handles all aspects of customer service through the program, including refunds. In other cases, Google itself handles customer service for orders through the platform. The future of the Purchases on Google program remains unclear. What is clear is that the company has not given up on the idea, and is actively testing different implementations. While the prospect of Google making a large move into the eCommerce arena concerns companies within that space, we’re still at the “wait and see” stage. The rise in eCommerce has given the retail industry a shift unlike any other time in its history. While big box stores hustle for position in a rapidly changing omnichannel landscape, technology continues to rapidly drive new retail innovations. Chief among them will be the Internet of Things (IoT) revolution. This will connect consumers to data and experiences through the everyday object that they interact with. IoT retail tech will change how brands collect data from their customers, how customers buy products, and the experiences that they have in-store. The first and most obvious point of implementation for IoT technology will be most visible in the checkout experience. Already, we see rapid advances in the way that customers buy products in a store. In late 2016, Amazon debuted Amazon Go, a checkout system that automatically detects what users have added to their carts, and charges their card as they walk out the door. While the system was originally announced for their own retail stores, it’s easy to see how the tech could be licensed and broadly implemented in others. Over time, this could set a new standard: changing customers’ expectations. Just how do physical retailers compete with the retail giant? The question revolves around the “Amazon effect.” Brick and mortar institutions are increasingly forced to adapt to customers’ shifting expectations, offering new reasons for buyers to visit physical stores. The initial jump may not be so drastic. The underlying technology of detecting what products shoppers add to their cart could be implemented in other ways. For instance, a cashier could still be responsible for processing the transaction—providing a point of interaction with the customer while speeding up the checkout process. Much of the Internet of Things revolution will take place behind the scenes, out of the public’s view. IoT technology will provide much greater visibility across the fulfillment process. This will allow companies to better meet the demands of an economy that is driven by omnichannel interactions. Today, retailers can accurately track each piece of inventory as it moves through the system to identify inefficiencies. The end result will be faster, more accurate fulfillment. There are many goods in the home that require continuous replenishment. Homes need to constantly replenish dishwasher detergent, fabric softeners, soaps, tin foil, and a host of other household goods. IoT technology helps companies simplify item replenishment, providing customers a better experience in repetitive shopping tasks. One trend we have seen that capitalizes on this is the rise of subscription services. These focus on providing a monthly allotment of specific goods, reducing the customer’s need to monitor products and buy them when they run low. Amazon’s Dash buttons provide an excellent example. Dash buttons allow consumers to order an item with the press of a button. They have even been directly integrated into Whirlpool and GE appliances. A lot of IoT innovation has focused on improving the in-store experience for consumers. The act of shopping isn’t just simply about buying necessary goods, but an overall experience for the shoppers themselves. A common implementation that we have already seen make its way into big box chains is radio frequency ID (RFID) tags for products. RFID tags can be used to tell whether a product is available in other sizes or colors, or even help employees to locate the items. In the future, we may see innovations like smart mirrors that allow consumers to see how an outfit would look before trying it on, or kiosks that can help consumers make better buying decisions. A better in-store experience will keep consumers coming back, and much of the front-facing innovation in IoT has focused on these interactions. Perhaps the biggest benefit of IoT tech for retailers is that it could potentially alleviate a lot of the mundane and tedious tasks. The future with IoT could look much different for retail employees. Inventory may become a thing of the past, with the tasks of restocking and sorting inventory being completely eliminated or drastically reduced. Retailers are already scrambling to prepare for a future where IoT technology becomes interwoven into the way that we shop and interact with big box brands on a day-to-day basis. While physical retail locations are in overdrive to meet omnichannel demands, a new IoT frontier awaits them on the other side. IoT tech could provide sustainable solutions to problems that have traditionally been a part of the retail experience. With tedious tasks out of the way, retailers could focus on improving the experience of shoppers. The home stretch of the 2017 holiday shopping season finds retailers busier than ever. Retail has changed rapidly in recent years, with big brand stores forced to make agile changes in strategy to hold their footing as eCommerce sales rapidly growing. With each new holiday season, we see a consistent shift toward truly omnichannel experiences for stores and shoppers alike. There is consistent growth from all channels during the holiday shopping season, a trend that we also expect to continue. But 2017 will also differ from previous years in a variety of ways, as big-box retailers and eCommerce companies jockey for position in a world that embraces a consistent experience online and off. 2017 will be the first year that holiday sales topple the $100 billion market. Adobe Insights predicts that sales will reach $107.4 billion, representing a 13.8 percent increase year-over-year. The company also predicts a 3.8 percent growth in overall sales. Nostalgia is a rising force in advertising and retail. Toys lend themselves well to the nostalgia bandwagon, giving parents a frame of reference when shopping for toys for their kids. A number of popular toys from the 1980s and 1990s have been revamped for the newer generation including Nerf Guns, Teddy Ruxpin, and Super Nintendo Classic. Children’s television channel Nickelodeon has announced a number of reboots of classic 80s and 90s kids shows, along with toy lines to go with them. With more manufacturers and developers looking to cash in on the nostalgia chain, this year’s holiday season will feature more recognizable retro toys than any other year. Seamless shopping experiences are the most sought-after trait that shoppers are looking for in holiday retailers. More than ever, shoppers participate in the research and shopping process through a wide variety of channels. In the U.K., more than 90 percent of shoppers have their first point of contact with a product through a channel that is not the channel they ultimately buy through. Omnichannel experiences will play a bigger role in 2017 than they have in any other year, and big-box brands are finally providing experiences seamless enough to satisfy their customers. Each year, we’ve witnessed sales surges come both earlier and later than they ever have before. There are a few reasons for this. Early surges can likely be attributed to the ease of online shopping, a desire to avoid the holiday crowds in malls and shopping centers, and an increase in sales early in the month of November—attracting larger crowds. Additionally, the late-December surges we see on the 20th or later can be attributed to the rise in free two-day shipping options through retailers like Amazon. In retail stores, late-season shopping surges have always been a regular occurrence, but have seen their own rises as procrastinating shoppers realize their online orders will not arrive in time. With eCommerce sales booming during the holiday season, retail stores have accepted their situation — becoming more creative than ever before. Retail has seen a renaissance in experiential shopping events, in an effort to attract shoppers to their locations instead of ordering online. Big brands are going the extra mile — and we don’t just mean setting up a mall-Santa outside of their location. Fun experiential marketing will play a big role in 2017 and continue to grow with each passing year. 2016 may not have been a great year for everyone, but it was a heck-of-a year for Google Shopping. Retailers spent 56% of their ad spend on Google Shopping last year, meaning Shopping finally outpaced traditional Search ads in terms of spending in the US and UK. Google overhauled the Merchant Feed Center and updated the Feed Specifications to include Unit Pricing, Color and Size, and GTIN. They also set a minimum image size requirement and increased the maximum Product Feed file size from 1 – 4GB. Shopping ads began appearing as part of image searches. Local Inventory Ads got an update to allow for in-store pickup. Google started including a currency converter to make it easier for shoppers looking to buy products from another country. And the launch of Customer Match finally allowed retailers to target Shopping ads to segmented lists. In the heyday of the dot-com era, we all thought the intent was going to kill the physical store. And indeed, with tanking earnings and emptying malls it can sometimes feel like we were right. In 2015 there were over 200 million digital shoppers who spent an impressive $249 billion. But, despite these figures, 85% of retail sales are still projected take place in physical stores. Still, it’s clear that the retail industry is reinventing itself. Slowly but surely, companies are devising retail models that work for people who are making increasing use of a growing array of Internet-connected tools to change how they search, shop, and buy. A complete retail strategy is one that encompasses on- and offline experiences. Both channels are still extremely relevant and retailers cannot rely on two separate strategies. The traditional brick-and-mortar store and the online retail world are converging into one customer shopping experience. As our world becomes more and more digital, customers are increasingly using more than one channel in their purchasing process. This has led to a phenomenon called omnichannel shopping. The world of Search Marketing moves fast. There’s always a new update, new strategy or new tip to getting you those extra clicks. And with so many people crowding the space it can be tough to know who to listen to. 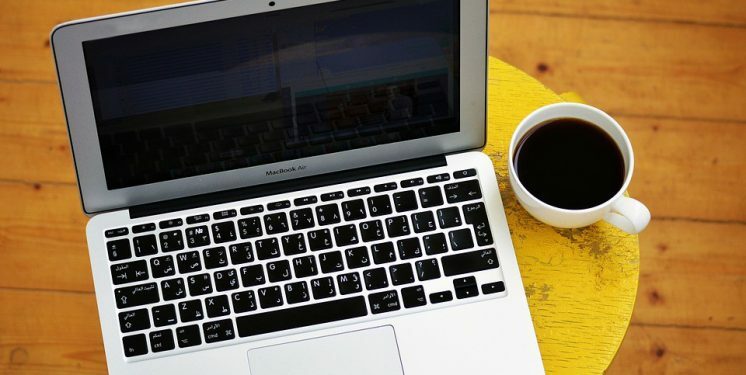 We’ve scoured the internet to track down the top Search Marketing experts you should follow for the best tips, how-tos, thought pieces and occasional hilarious tweets! Without further ado (and in no particular order) here are the top 24 Search Marketing Experts you should be following on Twitter. Despite them appearing in the same results page, Google Shopping, and traditional text ads are actually very different. And if you’re treating them with the same strategy, you’re likely wasting a lot of your ad spend without seeing any returns. In this post, we’ll explain how these differences work, what adjustments you need to make, and how to tailor your campaigns to take advantage of the breadth of Google Shopping’s advertising tools. Google’s Customer Match (GCM) allows advertisers to get closer to customers in the moments that matter. With Customer Match, you can build specific groups of customers which then form the basis of a Remarketing Audience List. GCM can be used in a more controlled way than traditional Remarketing Lists for Search Ads (RLSA), as RLSA is limited to an understanding of actions on a website, whilst GCM audiences are based on actual customers, of which more information is known.